It is probably possible to divide all the people willing to go with children to a restaurant into several groups. Some fear that the child will cry, but still go. Others are afraid for the same reason and don’t go. There will also be those who are neither afraid or care how the child will behave. The last, and perhaps the rarest, is the group that has raised their children to behave as to not bother neither the parents nor people around them. Regardless, stories about parents and their children being asked to leave restaurants have reached public’s attention many times. So how should one pick a restaurant and which should be avoided if you plan to take your children along? 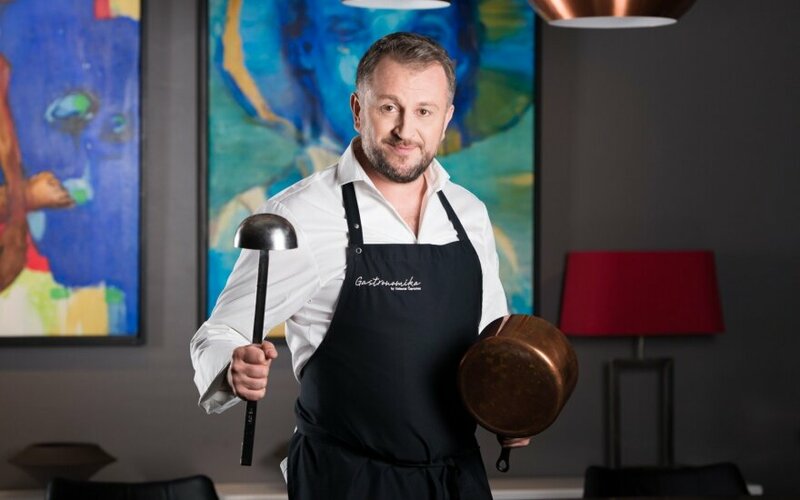 Kitchen chef Liutauras Čeprackas leads the "Gastronomika" restaurant and does not beat around the bush. He clearly states that children younger than 12 years old are not welcome here. "We are and will always remain the type of place in which kid younger than 12 years old are not welcome. This means that all parents who come with children who are younger will be asked to leave"- stated the well-known chef. Just recently he had to face an unpleasant situation when guest arrived to his restaurant with an infant. "Imagine, a boorish couple – and there is no other way to call them – came with a child in a pram after reserving a table for two. We tried to explain that this place is not adjusted for children. They responded that we have to ask all the guests if they are planning to come with an infant. I am yet to hear anything more absurd." – stated the chef. According to him, going to a restaurant after 8 PM is inappropriate, because children in regular families go to bed at 9 PM. "Visibly bored and running around in a public space, children are forced to watch their parents consume alcohol and are obviously being tormented" – said L. Čeprackas. Known chefs recommend to go with children to places which at least have some pencils and paper, and are prepared to welcome the young eaters. "One should go to places where children will have something to eat. This could be a pizza, hamburger places and similar. Bringing children to a restaurant at 8PM and expecting them to sit still is just not normal" – said L. Čeprackas. According to him, first and foremost parents should think about the children, not themselves. „If you don't have whom to leave your children with, please stay at home, or spend time in the park and have a picnic. Do things in a way that will keep your children happy, and not force them to sit and watch on their own" – gave advice the interviewer. In his view, today not all places – including pizza places, cafes and diners and others that do not deserve that – should be called restaurants. "During the soviet period we didn't see children in retaurants, and that was absolutely normal. Those, who are irritated that there are places where children are not welcome are thinking not about the children and their rights, but themselves. We should let children be children and let us take them to a place that will be interesting for them. Let us not think that they are not bothering anyone around them," stated the well-know chef. As a father of three, Liutauras confesses that he would feel uneasy if his child was screaming in a public space. „When my child starts to cry in a public space, i feel uncomfortable in front of others and am worried that my child is annoying them. And if my child starts running around and whacks somone with a spoon he just picked up, I am imbaressed. So let us leave the restaurants to parents, and let us allow the children to watch cartoons in the evening and get them to bed on time" – said L.Čeprackas. We don't take children to see adult movies, so why do we taken them to restuarants? 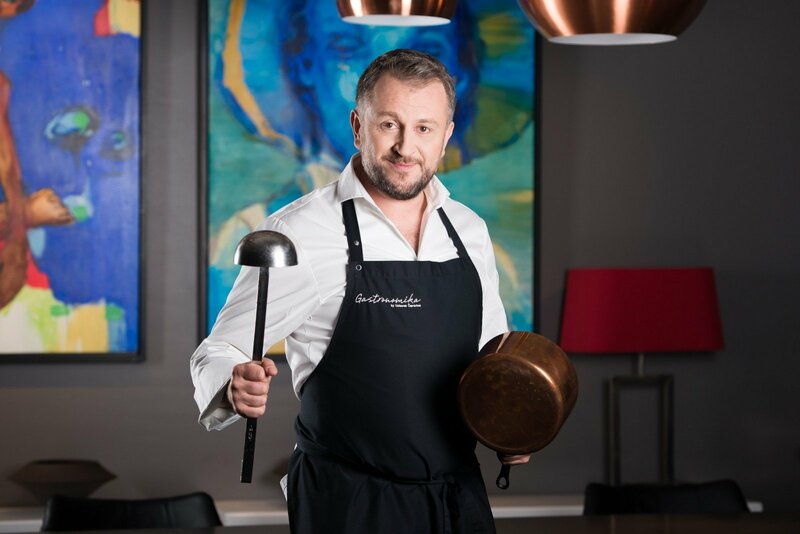 He was supported by the manager of the restaurant „Šturmų Švyturys", Česlovas Žemaitis. Located in the Užupis area of the city, the restaurant applies the thinking that children younger than 12 years old are not welcome here. „There is a very good stance on this issue, possibly made clear by the French – a child can be taken to a restaurant when he calmly, without help from the parents and using a knife and a fork, behave in an appropriate manner". Children should be able to remain calm around the table for no less than 2-3 hours. However, you must agree that this disagrees with any six-year-old child's physiology. A child at that age is unable to remain calm for long periods of time. He wants to do things differently and we should not be stopping him. But a retaurant is the type of a place where one must behave respectfully and camly. So maybe we should stop forcing children do something, which is impossible" – stated the interviewee. According to him, a restaurant is a place where the relationship between children and their parents are most obvious. „I am charmed when parents come with the more adult chidlren and talk for 2-3 hours. There are not that many families and guests like that, however, when they do visit, i can see them very well and am happy for them" – said Č.Žematis. He notices that in Lithuania people go to restaurants quite rarely, therefore they don't have the necessary habbits. „When a trip to a restaurant is a yearly occasion, then the poor children are being dragged along. I understand their dissatisfaction, when they hear at the door that this is a restaurant for adults only and children are not welcome here. However, let us feel for our children. They will certainly not be interested in listening to the boring discussions of adults" – said the interviewee. When asked if he is aware of practices in other European countries, the owner said that while traveling, he never faced a situation where children were running, screaming or left unsupervised in a restaurant. "I never faced such problems. I think that elsewhere there is a formed culture on this topic. Maybe in Italy it is slightly different. It is more noticeable when children are in a restaurant. However, in France, Austria, Germany there are no children in the restaurants in the evening. There, it is a naturally formed rule in society that you should not bring young children to a restaurant. We wouldn't take a child to an adult movie or show. Yet it is the opposite in this place" – pondered the interviewee. Restaurant business expert and "Kitchen Myth Destroyers" project manager Urte Mikelevičiūtė recommends to teach children from an early age how to behave in a respective manner and how to follow the rules of the etiquette. "If the child is sufficiently well mannered, there will not be any problems even in the highest level restaurant. I remember, when I myself was taken by my father on secondments and at an age of five I was regularly take to restaurants. No one raised any questions or faced any problems. The situation is perhaps different in Lithuania, and children behave differently, they are allowed to do more and this makes the entire situation more difficult" – considered the interviewee. Before choosing a restaurant she recommends to inquire about its policy. "Most restaurants publish their policy openly, stating if it's a family restaurant, a fine dining one, or some other exclusive place. Some will clearly state it is better not to visit them with children, others will say nothing. So it is worth taking the policy into account. If the child is well mannered, you can go anywhere. However, just like with a show – some are for adults, some can be enjoyed with the family. If you are planning to go to a fine dining restaurant, where the child will be bored, consider if it is worth going at all. There you will experience a kind of food theatre, the dinner lasts a long time and may not be a suitable place to visit with children. In addition, such dinner is not a daily occurrence. Maybe it is worth making a celebration out of it" – rhetorically asked U.Mikelevičiūtė. She herself has faced both pleasant and unpleasant situations. "I have seen when parents truly permitted their children too much. It is not even important if the situation took place in a restaurant or not. Parents would allow their child to take, grab, ruin anything, to scream and behave inappropriately. That is why it is important to start with parents. Although I have also seen more positive situations. I remember when me and my friends went to a wine bar where we thoroughly enjoyed ourselves while a several months old child was resting in his pram." - said the expert. According to her, the situation in Lithuanian restaurants with children being brought along is not that bad, but often parents themselves like to make a problem out of it.